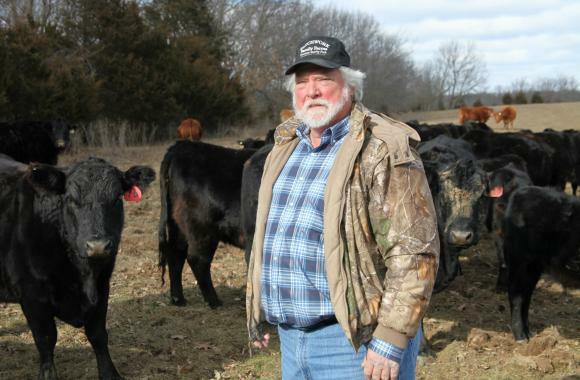 Charles Bassett wants you to buy hamburgers made from his Missouri cows. That’s why the Missouri rancher wants to pay an extra dollar into an industry-created fund every time he sells one of his cattle. The fund is called a checkoff program – an industry-administered pool of money that is collected from producers for promotion, research and marketing of a particular commodity, which functions similar to a tax. If enacted by a referendum of beef producers in the state, the money would be spent by a designated group (likely the Missouri Beef Council) on promoting Missouri beef. The federal Beef Checkoff program is controversial, however.Some ranchers say the funds aren’t transparent enough and some feel their money isn’t always directed to the right place. State organizations that would add to the beef industry’s bureaucracy have taken the checkoff debate out of Washington D.C. and brought it closer to home. The federal checkoff funds, Bassett said, just don’t go far enough anymore to promote his beef, but adding a state checkoff would help. “By pooling my resources with other producers in Missouri, we’re able to have a full-time staff working for us every day, promoting our product,” he said. In all, fourteen states, including Illinois, already have their own state checkoff on the books. Ranchers in Missouri, Iowa and Oklahoma are eying the option, too. North Dakota added a state beef checkoff in 2015. “We want to stay competitive with our consumers and against our competing protein products out there,” said Nancy Jo Bateman, the executive director for the North Dakota Beef Commission, which is in charge of the checkoff money. “What the beef industry has seen over the last 30 some years since the national checkoff started, our buying power for programs that help to increase demand for beef has been shrinking dramatically,“ she said. With state checkoff money, the commission bought up primetime TV space. In North Dakota, that means the airtime around state high school basketball tournaments. “We have implemented television advertising during those tournaments and we’ve had tremendous feedback from both our producer base that their dollars are paying for this, as well as consumers who say they are just excited to see delicious looking beef,” Bateman said. These ads are more important than ever, according to many beef producers, because Americans are buying less beef andbuying a lot more chicken. To combat that, many cattle ranchers want the checkoff funds to go toward studying the health benefits of beef and how to lower production costs. Checkoff opponents, though, want more local control. Williams said decades of research suggests checkoff programs can be slightly effective, but there are so many other variables that affect demand. Ranchers in California decided against adding a state checkoff in 2012. Now, some beef producers are lining up against adding required contributions. Roger Allison, a rancher in Howard County, Missouri, falls in line with the opposition. He said the federal checkoff hasn’t really helped him, so why would the state’s version? Another reason ranchers oppose a state checkoff, Allison said, is that it’s a venue for large, commercial operations to control promotion at the expense of small farmers. “Once they get the money, all of a sudden they feel like they got the control over beef producers in this state,” he said. Ultimately, Missouri farmers will vote in April on whether to add the checkoff. What they decide will help shape the beef industry’s modern evolution.